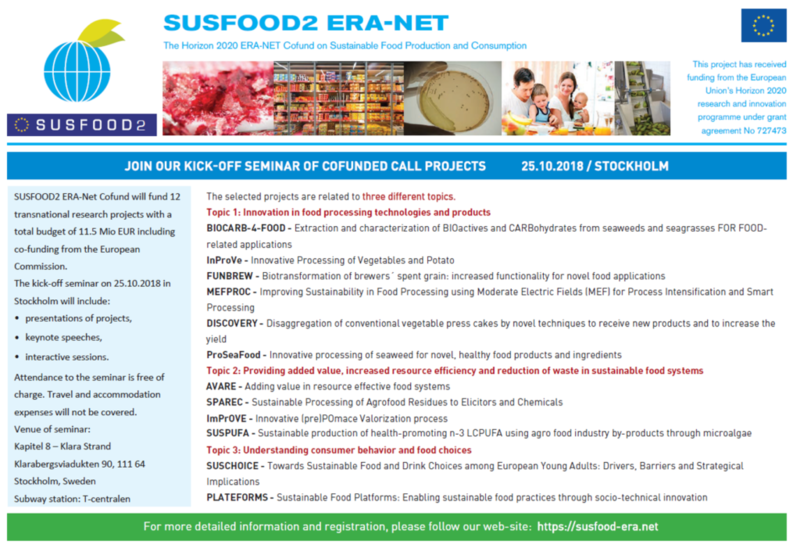 On 25.10.2018, the SUSFOOD2 ERA-net holds the kick-off seminar of the 12 research projects funded via the Cofunded Call. This seminar takes place in Stockholm, Sweden. This seminar will include next to the presentation of the projects, some keynote speaches and interactive sessions. Do you want to know more about the seminar? Download the draft programme. Do you want to join? Register via https://www.surveymonkey.de/r/SUSFOOD2_STHLM_2018*. *Registration is obligatory. Please take into account that the SUSFOOD2 kick-off seminar is a semi-public event and room capacities are limited. Hence we will send you a final confirmation mail in this regards, latest three weeks before the event. 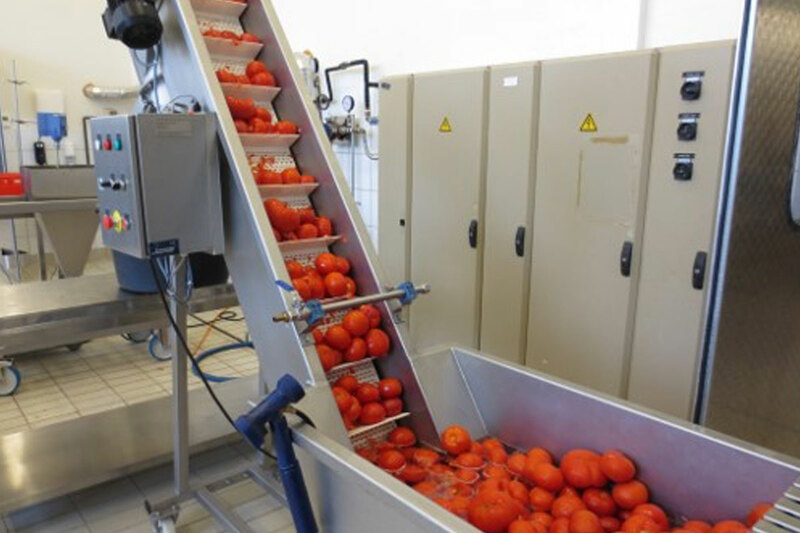 The ImPrOVE (Innovative (pre)POmace Valorization procEss) project addresses a major European wide agro-related problem: pomace resulting from pressing fruit. Copyright © 2018 ImPrOVE - Credits Sidebloom . All rights reserved.